Predictive Analytics World and Deep Learning World conferences are coming to Caesars Palace in Las Vegas, Jun 3-7. It's not too late to save with the Early Bird and attend the biggest PAW mega-event ever. We warned you this day would come...the Early Bird is getting ready to fly west - to Las Vegas, NV that is, for the Predictive Analytics World and Deep Learning World conferences at Caesars Palace — June 3-7, 2018. It's not too late to save with the Early Bird and attend the biggest PAW mega-event ever. In 2018, there will only be one PAW in the U.S. — Mega PAW — with five (5) parallel events amounting to seven (7) tracks: PAW Business, PAW Financial, PAW Healthcare, PAW Manufacturing, and Deep Learning World. When you register by this Friday, February 23, 2018, you could save up to $650.00 with the Early Bird rates. 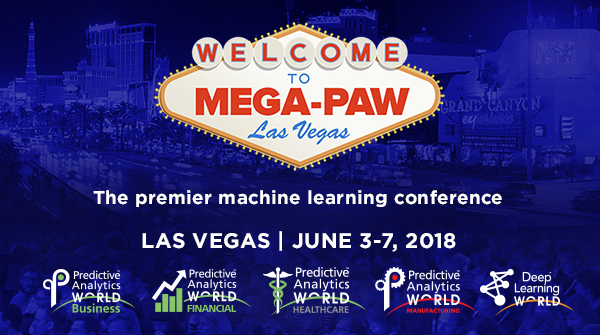 Join hundreds of other attendees in Las Vegas for the first ever Mega-PAW with four PAW content verticals alongside the inaugural Deep Learning World. 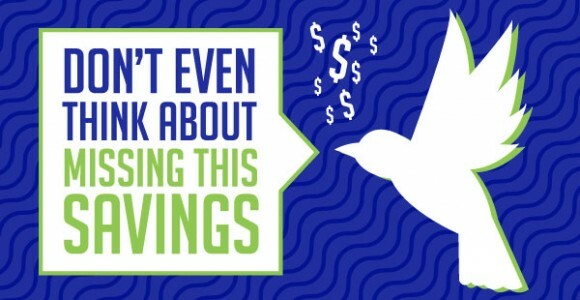 Don't miss the deadline, fly into Early Bird savings while they last, and register today.